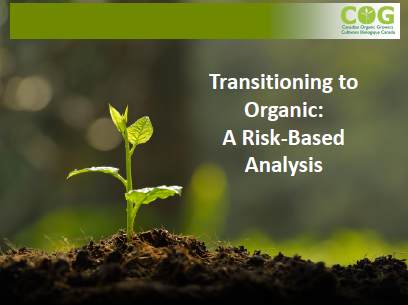 The Canadian Organic Growers undertook the Agri-Risk project to examine the risks and costs of transitioning to organic crop and livestock production. The project team developed a detailed report and a referral tool informed by a literature review, on-farm case studies, and focus groups held across Canada. On-farm visits provided insight into a number of risks that had not necessarily been identified in the literature review as being significant but were considered major obstacles or risks by the farmers interviewed. Wider input on those risks was then received from a larger sample of Canadian organic growers through a series of eight focus groups held across the country. Join Carly Livingstone for a discussion about the results of the Agri-Risk Project and its implications for the organic industry. 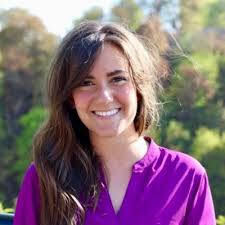 Carly is the newest addition to the Canadian Organic Growers team, taking on the role of Stakeholder Relations Manager. She began her career in her hometown of Edmonton, where she spent the past few years working in stakeholder relations and program coordinator across academia, industry, and government for the pipeline industry. However, she is a foodie at heart (and self-proclaimed doughnut connoisseur), with a passion for all things health, environment, and social justice, which led her to relocate to Ottawa in pursuit of a career in food policy and industry development. On the weekends you can find her exploring Ottawa on her bicycle (probably lost), seeking out farmers markets, good coffee, and fresh air. Carly can be contacted at carly.livingstone@cog.ca. This project was federally funded by the Department of Agriculture & Agri-Food Canada. The report found that the top five barriers to transitioning to organic farming, in order, included record keeping, weed management, finding access to technical expertise, understanding certification requirements, and the cost of organic inputs. Financial risks such as equipment costs, crop insurance, and revenue were also noted as a large barrier. Moreover, although the organic agricultural landscape varies in terms of access to land, social capital, and jurisdictional policies, the report found that across Canada, increased extension services and resources, as well as in-person information sharing, were desired by farmers.